John Hoad started from humble beginnings. He was born in NSW the son of a labourer and baker. It is believed he was orphaned when he was six years old and raised by relatives. Yet, by ‘ambition, industry and sustained work’, he rose to hold the highest posts available to an officer of his time in Australia’s armed forces. Hoad argued for the creation of an independent Australian section of the Imperial General Staff after federation and became the first Chief of the Australian General Staff. After service in the Boer War he returned in 1900 and took an active part in the new administration needed for the Commonwealth to assume the military forces of the states. He also assisted in the framing of the first Defence Act of Australia. There are local connections with St Kilda. Hoad’s first career was as a teacher until he was 30 and his last teaching post was Brighton Road School, St Kilda. His home was at 5 Fitzroy Street. Hoad became a successful career officer at a time when British officers occupied the most senior positions in the military and when the defence of Australia was a key motivation for the federation movement. In 1889 a British officer reported on the colony’s defences and urged the creation of a federal army. In his famous address at Tenterfield in 1889, Sir Henry Parkes successfully used this report to reinvigorate the federation debate and to obtain the premiers’ agreement to meet to discuss the matter. Australia’s involvement in Imperial military campaigns such as the Boer War was a key factor in the tide of nationalism that issued in federation. Australia was also concerned for many years at German, French and Russian movements in the Pacific. In 1884 he had become a militia lieutenant in the Victoria Rifles and by 1889 had been promoted to major. After training in England he became the first Australian to fill the post of assistant adjutant general at Victoria Barracks. 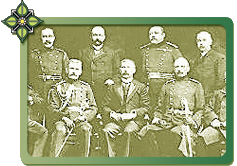 On 11 October 1889 war began between Britain and the Boer South African Republics of Transvaal and the Orange Free State. From then on until the end of the war in May 1902 Australia was seized by patriotic fervour for participation in (as well as some opposition to) the war. Australia sent approximately 16,500 troops first from colonial, then from Commonwealth forces. Hoad served in the war as commander of the 1st Australian Regiment. This was the first all-Australian force and was composed of troops from Victoria, South Australia, Western Australia and Tasmania. 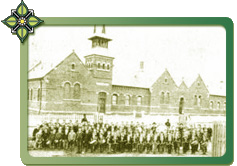 Hoad was engaged in actions near Pretoria and Johannesburg and took part in the battle of Colesburg in Cape Colony. After a spell in hospital, he returned to Australia in 1900. For his efforts he was awarded the Queen’s Medal and became aide-de-camp to the governor-general from 1902 to 1906. On the 1st March 1901 the Commonwealth took control of the former colonial military forces. In 1904 Alfred Deakin sent Hoad as an attache to the Japanese Army in the Russo-Japanese War. The Government also sent him to London to discuss the creation of an Imperial General staff and he was appointed chief of the Australian General Staff in 1909. Later that year he accompanied Lord Kitchener on an exhaustive tour of inspection of Australia’s land defences. Hoad has been described as quiet, tactful, unpretentious, a good listener and a fine horseman. He died at the age of 56 after a full time army career of only 26 years. 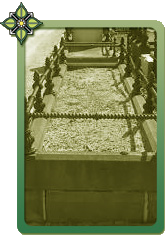 He was buried with full military honors attended by 2,000 troops in St Kilda Cemetery in October 1911. Extraordinarily, the grave of Australia’s most senior military officer during federation remains unmarked at time of writing.